Do you boil peanuts? 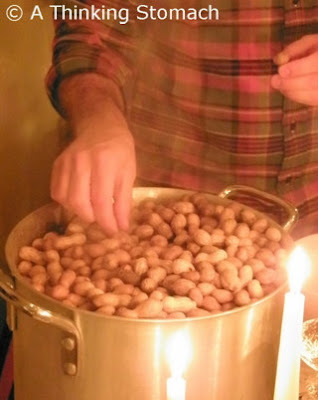 Nobody in Illinois understood why I would want to boil peanuts. They thought it made the peanuts taste like potatoes. Kay- Stadium brand is my favorite if you can find them. A while back I searched online for "boiled peanuts," and it seems it's a science in the South, and there's even a minor dispute between "boiled" and "steamed" peanuts. 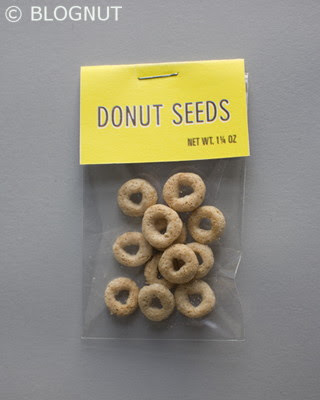 Ha ha ha - I got tons of donut seeds on my kitchen floor. Sure, they're slobbery and pre-chewed by Nate, but I guess they could work. That's pretty brilliant! Ann- thankx, you just made me realize that they're cherrios.